I once heard of a TV journalist who kept the names and addresses of his Syrian sources in a little black book, and all the video he shot of activists, complete with faces, on an open hard drive. He was detained by the secret police in Damascus, which was scary for him, but worse for his contacts. In his easily accessible files he had neatly identified, catalogued and given phone numbers for a significant band of people the regime was trying to catch for daring to protest. The journalist was freed, shaken but unharmed. The activists fared much less well. Despite frantic efforts to warn each other and flee, some were caught and haven’t been heard from since. That all happened before the Snowdon revelations and is a reminder that, even if you’re unfazed by GCHQ and the NSA reading your less-than-riveting emails or tapping your boring phone conversations, issues of data security are often deadly serious. As a blogger who sometimes works in regions were information too often has a horrible life-and-death quality to it, how can I, how can we, live up to the responsibility to protect ourselves and other people? We can only do it by protecting the data we share and safeguarding our communications. Our responsibility is to do whatever we reasonably can to keep private and sensitive information exactly that – private. Which is why at the moment, the issue of secure communications has become a bit of a hobby of mine, even if it can seem school boyish at times. Or amateur James Bond, with a touch of tin-foil hat. It’s not just about wanting Yahoo and Google to stop profiling me via my email content. It’s not just about wanting my own government to stop archiving all my electronic transmissions. I’m inherently and, I’m sure, rightly, suspicious of any App or platform that say’s it’s secure. I’d hate to recommend anything with a confidence I can’t back up with irrefutable evidence. And that evidence would have to come from the experts and obsessed, people who have rolled up their sleeves and rummaged deep down and dirty in all the hard and software, picking it apart into digestible code and reassembling so they could totally understand how it ticks. How it talks. A catch with that is, even if an App is declared safe by those qualified to do so, and the encryption algorithms have at least a few years headstart, what if someone has inserted malware onto the hardware, to log your keystrokes, or intercept your voice and camera data before it even hits the App?. If i’d suggested that last year I’d really have been burnishing my paranoia credentials. Post-Snowdon – and the revelations are still coming remember – all this is a very real proposition and perhaps even old news to some. Protecting against that is a tough call, short of setting up off-line ‘air-gap‘ computers in basements, as The Guardian has done. True open source licensing is a crucial element here because it allows real scrutinisation. Thankfully more and more open source software solutions are gaining visibility. But we also need more open hardware if we are to really have confidence about securing our communications, short of that isolated laptop in a deep dark basement. Nonetheless, there are more reasonable steps we can take to protect our data, and, in the case of the Syrian mukhabarat, to not merely do their spy work for them, however inadvertently. The principle of privacy, if we want privacy, needs to be fought for at every level. It has become a terrible cliche to talk about George Orwell’s nightmare vision of 1984, but, well, read the book again and be reminded of the horror it depicts. And then realise how short a step it is from the telescreen to your iPhone screen. If governments can peek through your webcam, so can the criminals. If governments can read your email. So can the criminals. Sometimes they’re the same thing. 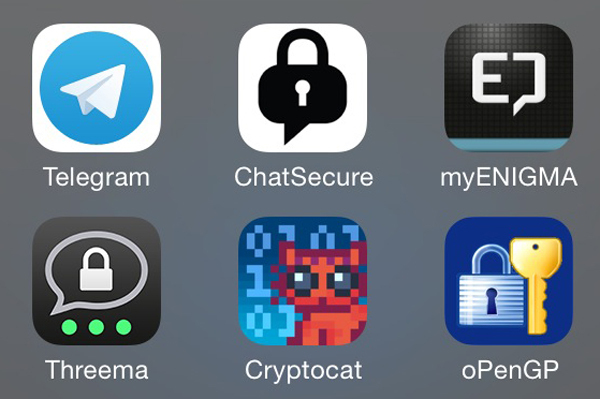 PGP, VPNs, or encrypted apps, If you’d like to know more about the tools I’m using, please ask me when you see me. This kind of information can date quickly. If you’d like to share what you are using, please leave suggestions in the comments below. Or ping me on one of the channels listed on the top of my blog. My PGP keys are on the usual servers. Really good article, but the word geeks sticks out like an unnecessarily sore thumb there. Christian, spot on! Reminds me of the old adage: “Trust but Verify”. In this digital space, even that’s too loose, backwards. So the 21st Century adage in the digital space is: Verify then trust. Thanks Jeff. I’m not sure we can trust any comms passing through closed devices and networks. Let’s see how things change over the next few years. Good read and interesting topic. I’ve recently started using the various tools offered by the Guardian Project which are mostly based around TOR. They seem to offer a good level of encryption and security but as with all third party infosec tools there is always a niggling worry about a backdoor. True. it’s our closed devices i constantly thing about. We can be pretty sure they do have backdoors which renders all out our attempts to lock down data futile.